Deep water paradise awaits. Beautiful home built in 2009 boasts panoramic water views. 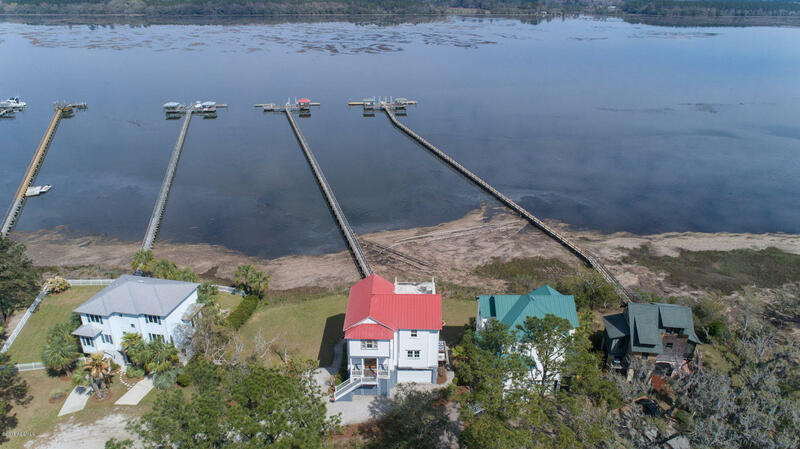 Includes shared walkway to private floating dock and boat lift. This 3 bedroom 3 1/2 bath home also includes a bonus room and full bath not included in the square footage. House is being sold fully furnished. Deep water access 24-7. Yacht and Sportfish accessible. The home is less than 15 minutes to historic, downtown Beaufort and an hour South of Charleston. Adjoining lot is also being sold and will be offered as a package of $699,000.